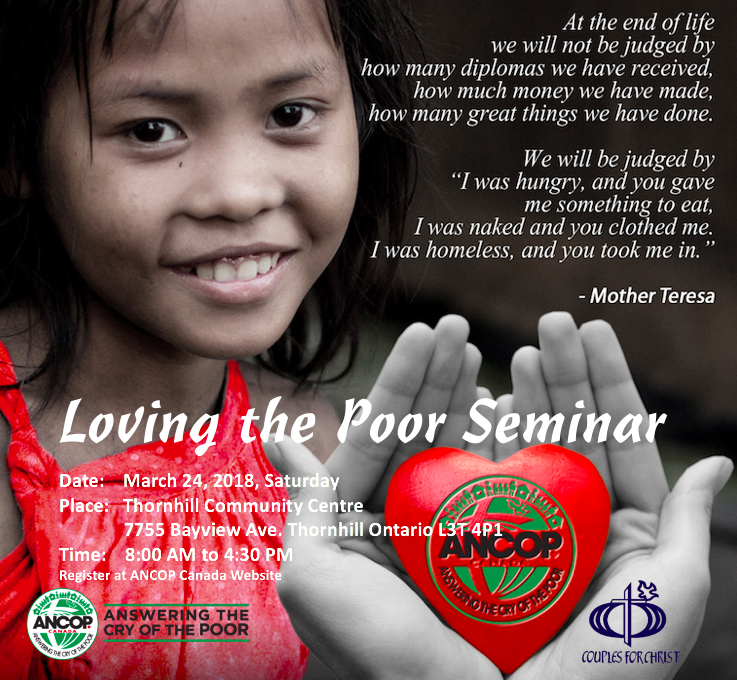 As we start the year following our mandate of rekindling our gift and fulfilling our ministry, ANCOP Canada is inviting you to the Loving the Poor 2018 seminar. Note: Fee of $5.00/person to cover for lunch and refreshments. REGISTRATION has closed but we can accept walk-in registration at the venue on a “first come first served” basis. Lunch packs are limited, so please come early to register.